Dark Horse Comics continues the mash-up mayhem with an exclusive edition of Archie Versus Predator #1 available to attendees at next week’s Phoenix ComicCon. 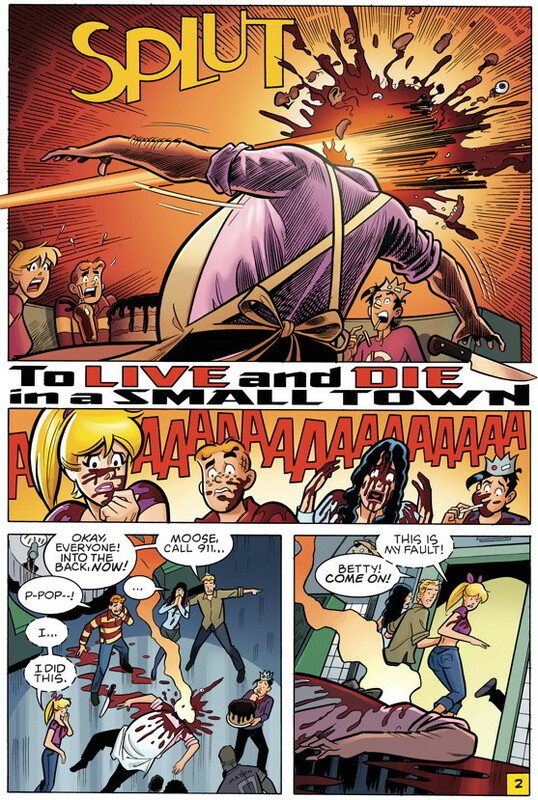 Artist Darick Robertson‘s action packed scene pits Betty and Veronica against the other worldly hunter instead of each other for a change. This variant is limited to 500 copies, maximum 5 to a customer, for $5.00 each and will be available at the Dark Horse convention booth #7052. Check below for specific sales and signing times. Dark Horse will also offer plenty of neat swag and FREE artist signings, including Archie Versus Predator and Grindhouse‘s Alexi De Campi. Just in case you were wondering, this ain’t your grandma’s Archie Comic as you can see from the bloody issue #2 splash page (slupt page?) below. 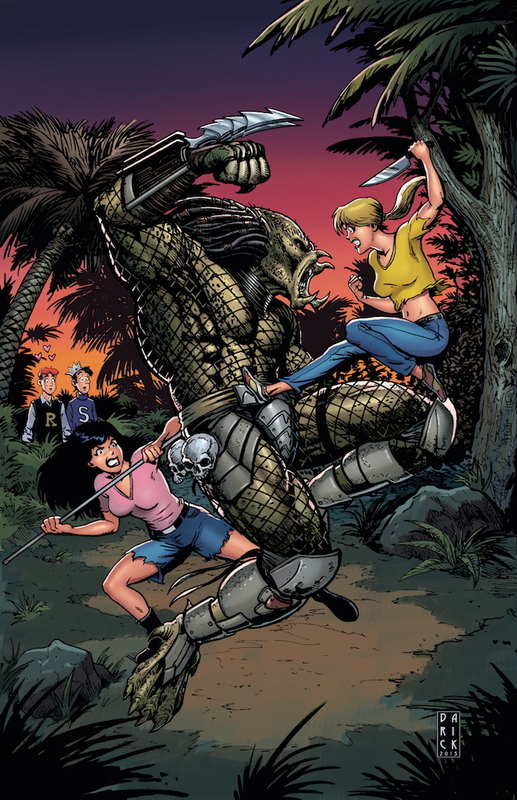 Just released Dark Horse “Archie Versus Predator” #2 opens with a bloody bang. All creators signing in our booth offer their autographs for FREE. FREE prints, comics, or posters are provided for signings (while supplies last). You may purchase or bring items to be signed; however, we may restrict the type or number of items to be signed as necessary. Please note that some of the titles listed below have not been released for sale yet—in those cases, special prints will be available. Lines may also be closed for some signings due to crowding or time restrictions.